The rules are changing! Mehndi trends are a hit in India, and the brides today are blending traditional designs with quirky, contemporary elements that bring out the cool side in them. Isn’t it thrilling to see how the brides’ wish list has transformed over the years – be it simple Indian designs or fancy Arabic designs? The surge of artistic designs fused with modern ideas has changed our perception of mehndi designs completely. There are numerous simple and complex mehendi designs you could opt for on your wedding day. Nowadays, mehndi is treated as an art and brides put in lots of efforts to create the best mehndi designs. Mehndi holds a deep cultural significance too. 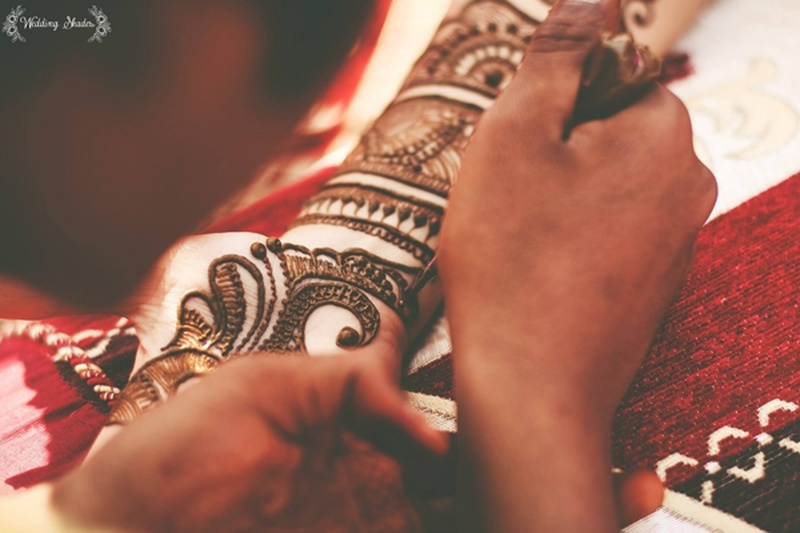 In India, there are entire ceremonies dedicated to applying mehndi to the bride. This ancient Mughal tradition has grown into an irresistible custom and is also a source of amazing artistry. The craftsmanship required to draw the curved, motif-laden lines of a mehndi design is reflected in today's huge, talented henna design market. From classic to unusual, let’s take a look at the best mehndi styles for the brides-to-be. Welcome a world of flowers, beautiful peacocks and sketches of gods. Indian mehndi style includes unique curls and curves without a lot of white space between in between. Simple and elegant, they are good to decorate your hands for special wedding occasions. As a part of the traditions, brides also write the name of their husbands in the mehndi to let them search it. Festivities like Roka, Nikah, Sangeet, etc. are never complete if the bride is not adorning her hands with a copious amount of mehndi or henna. Popular for its elegance and beauty, Arabic designs are chic and drastically different from the usual traditional styles. As compared to Indian designs, they include simple flowers, veins and leaves. Famous for their thick outlines and unfilled patterns, they are perfect to make your wedding day memorable. If you have less mehndi or are running out of time, then try these designs. You can specially choose this style for your relatives and friends as it dries quickly and saves time. Rajasthani style is all about intricate patterns of peacocks and flowers. It has curls between clear spaces and fine lines are often drawn to cover the hands. These elaborate designs are perfect for bridal mehndi as they can easily extend from palms to upper arms. To add a dramatic punch, you can use colourful stones and glitters as borders. These designs reflect Rajasthan’s culture, folk designs, dances and royal heritage in its shapes. A blend of Indian and Arabic designs, they create an excellent balance of geometric, flower and paisley elements. They mix the best of both worlds, taking your mehndi experience to a whole new level. Pakistani designs are very detailed and intricate, consuming a lot of time in its application. These designs are considered to be perfect for brides on their wedding day. The thick lines and a distinctive style make it visually appealing. Moroccan henna designs have a lot of geometric forms and straight lines. The designs from the North around Fez are usually more symmetrical. The designs from the South include a lot of leaves, flowers and curvy lines. Moroccan wedding mehndi includes many powerful symbols to keep the evil eye away. It looks really beautiful and can be easily extended to your elbow or wrist.